Managers and supervisors who need to have a basic understanding of RCA and CA principles. Root cause analysis (RCA) involves searching backwards from an undesirable effect (or problem) to its cause(s) and addressing those causes. While the term “Root Cause” implies that there is a single cause for a problem, often multiple causes interact and work together to trigger the problem. 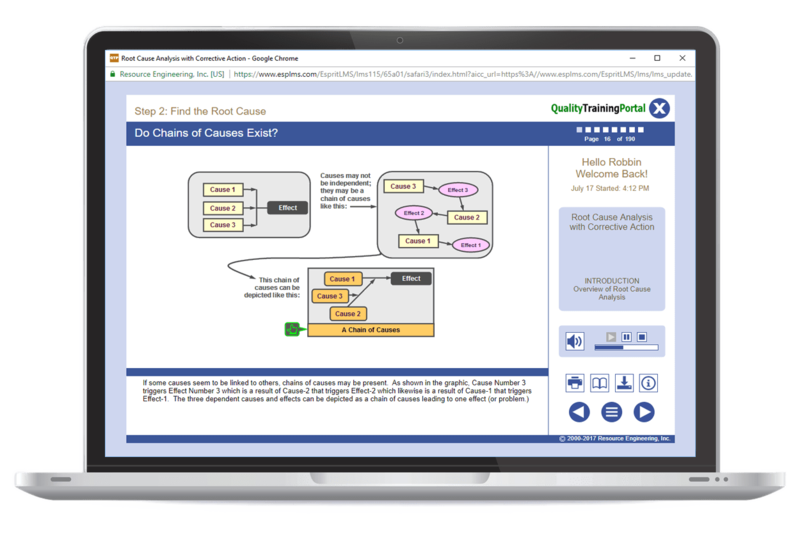 The root cause analysis task is to identify potential causes, determine which cause or causes are root causes and address those root causes to ensure the effect (the problem) does not recur. RCA is important because if a problem has occurred once, it most likely will occur again. However, if the root cause is found and addressed, future occurrences of the same problem CAN BE PREVENTED! Root cause analysis and corrective action is the key to preventing future problems. 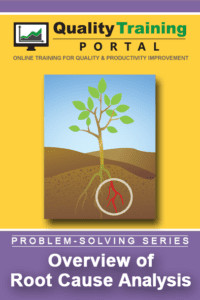 Overview of Root Cause Analysis online training provides the learner with a basic understanding of the principles and techniques of Root Cause Analysis and Corrective Action. The course is ideal for managers and supervisors who need to understand the terminology and process of RCA without needing to know the specific “how to” details. For more detailed training on how to conduct root cause analysis, please see Root Cause Analysis with Correction Action. Understand the importance of getting to the root cause of a problem to assure that it is eliminated for good. Because this is an overview course, no prior experience is necessary. Introduction to Mistake-Proofing – Online training is designed to introduce learners to the prevention-focused mindset that is the cornerstone of mistake-proofing and to familiarize learners with the concepts, tools, techniques and terminology used to formulate (and evaluate) mistake-proofing solutions. What is Root Cause Analysis and why is it important in solving problems. The five steps to Root Cause Analysis with Corrective Action.